The centre back expects a tough game against Meath today. I’m a secondary school teacher in St Kevin’s, Ballygall Road. I would have helped out with the Leaving Cert exams, Junior Cert exams so I would have finished up a couple of weeks ago. I’ve been kind of kept busy otherwise, just trying to get around to a few GAA clubs and trying to help out with a few charity events here and there. Other than that I’m trying to relax and concentrate on football. Extra buzz working with kids? With kids the excitement and the buzz is always there. They probably can’t remember score lines or if you won but they’re just happy to see a Dublin fella there. I know myself, I remember Jason Sherlock and Dessie Farrell coming to visit us when I was younger. It was just great to see senior lads coming in. It’s a nice privilege to be able to go back and visit other clubs and other schools and have a bit of fun with the kids. It’s a secondary school so first to six years. It depends what your time table is. We have 500 all boys so you have different classes. Talking football all the time? It’s funny because the staff are bloody worse for questions. You have to crack the whip with the staff sometimes. While they mean well it’s a continuous barrage of questions about football and it can kind of annoy you at times. Ah, you have a bit of craic. People generally mean well in their questioning and their analysis of games you might have played. So it’s nothing new. Meath/Dublin games, Meath scored 5 goals in 2010? I’ve really enjoyed them, bar 2010 when they deservedly gave us a good hiding. Again, I know publicly and outside of the team, the media, there’s always a big conversation around the Meath/Dublin derby and the traditions that are there. Unfortunately, as a player, you kind of can’t dwell on it because you lose focus. I was on the pitch in 2010, I didn’t play too much, the same as most of us that day. Funnily enough we had similar scoring opportunities as Meath, they just happened to kick five amazing goals. Graham Reilly is obviously still involved and he would have caused a lot of torment for us that time with his pace, his incisive running. He seems to be playing in a similar vein of form too. Meath forwards, threat of Graham Reilly and Michael Newman? It’s very difficult to be honest. You’re trying to maybe limit his influence as much as you can because you know he’s going to pick up balls, get a couple of scores so you just try to limit him as much as you can and impose your own style of play on it. Obviously, being a defender you’re going to be probably extra vigilant on their attacking players and they have a lot of lads causing havoc there, even from the frees. I would have played with Mikey Newman, he’s very accurate…from college, out in Maynooth, yeah, a great fella. He’s showing similar form in the inter-county scene as well so it’s something to look out for. No, we can’t, we’ll have our hands full on Sunday week with the pace of Reilly but also being cautious not to leave a lazy hand in and potentially give away any frees. Oh yeah, yeah, it’s brilliant, an honour to be representing your county and to hopefully win a Leinster championship, potentially it’s something that I as a player love. I’d love to win another one. There’s a lot of lads that wouldn’t have a senior inter-county medal and for those of us who have been fortunate to have a couple we want to drive on and hopefully win another. Email “Dublin's Ger Brennan on the Leinster Final and working with kids”. 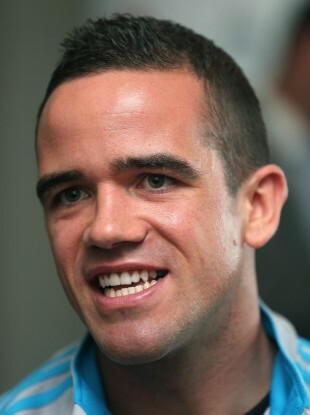 Feedback on “Dublin's Ger Brennan on the Leinster Final and working with kids”.